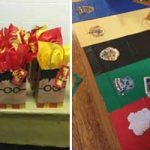 As February 14 gets closer you’ll be inspired by everything to do with love. 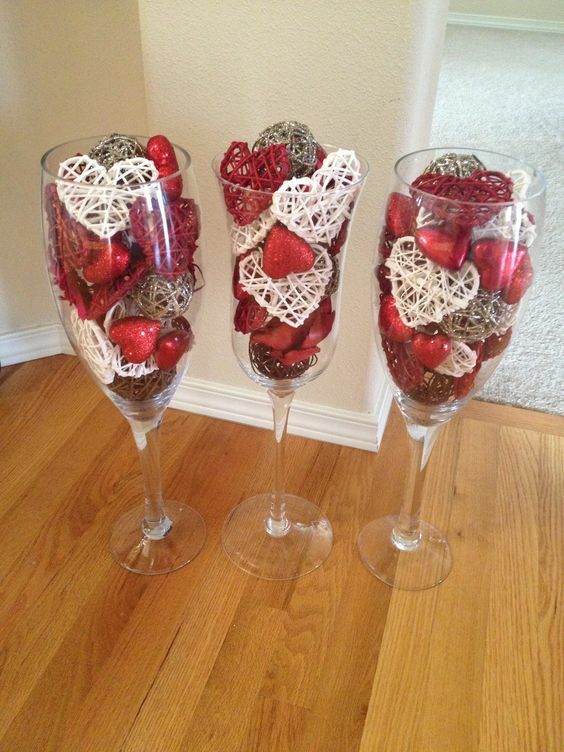 Bring the romance to your home by decorating with all things heart shaped and red. 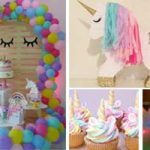 So get the party started abd create the right mood for Cupid with these Valentines Day Party Decor Ideas. 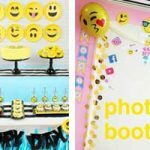 With red tissue paper and a chicken wire frame you can make this adorable backdrop for your party. 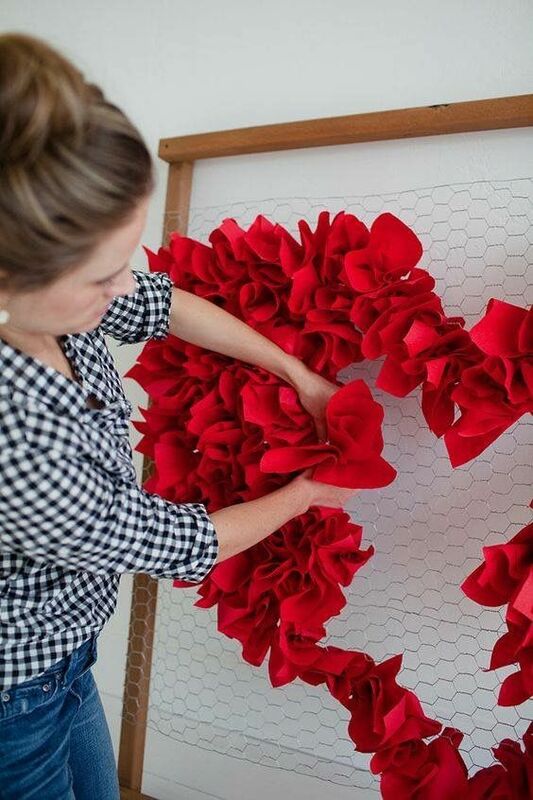 Crumple the red tissue paper and fill into a heart shape in the frame. 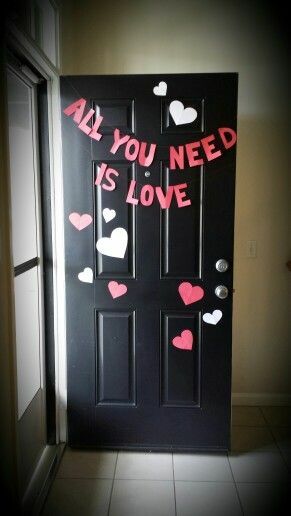 Create door decor by cutting out hearts and words in red and pink paper. 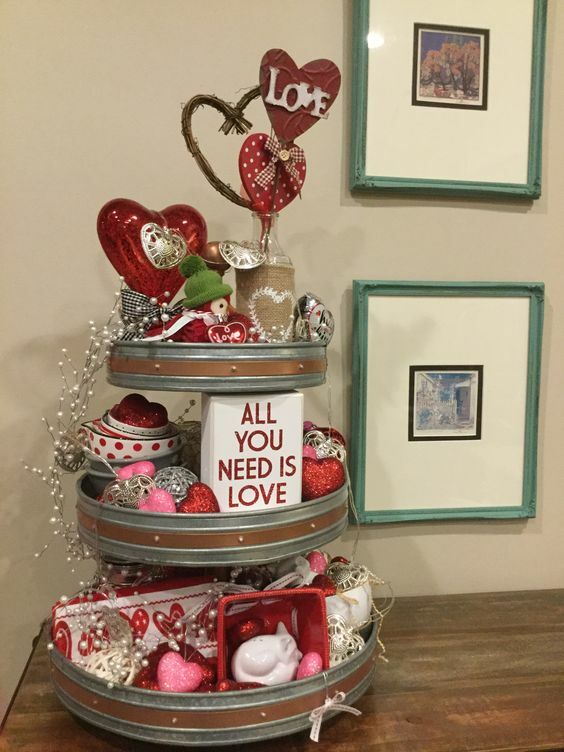 Make this hearty mobile by cutting out heart shapes and sticking them to string. 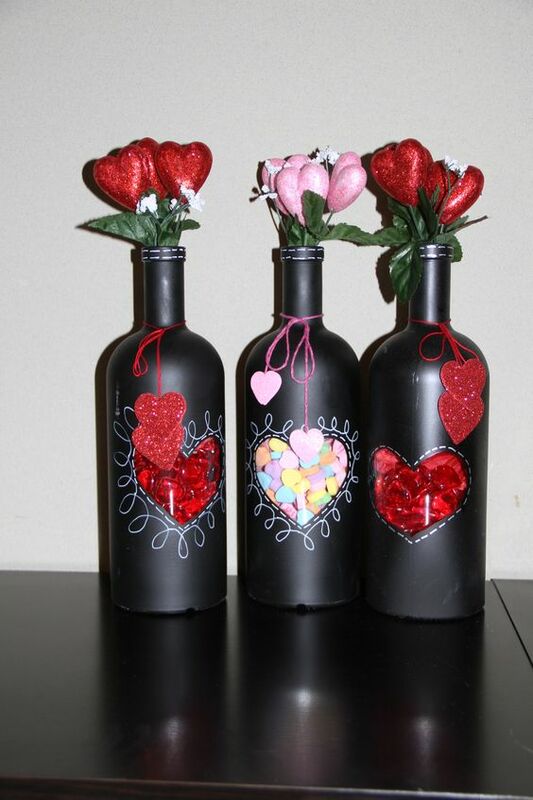 Make as many as you like to really adorn the space with romance. 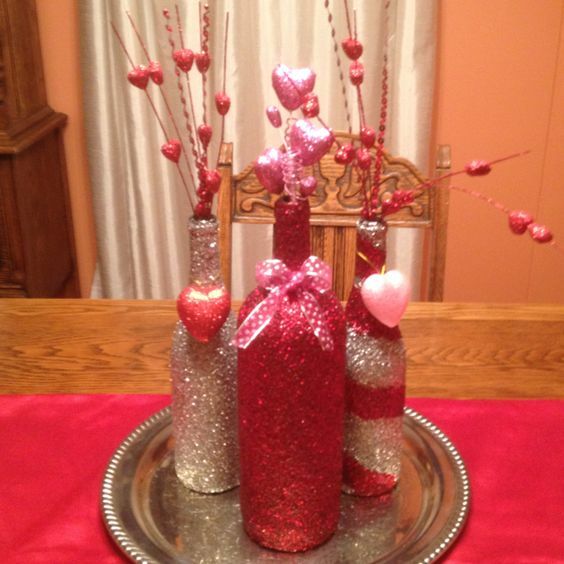 Decorate a tiered tray to make this romantic centerpiece which also works great as a dessert tray. 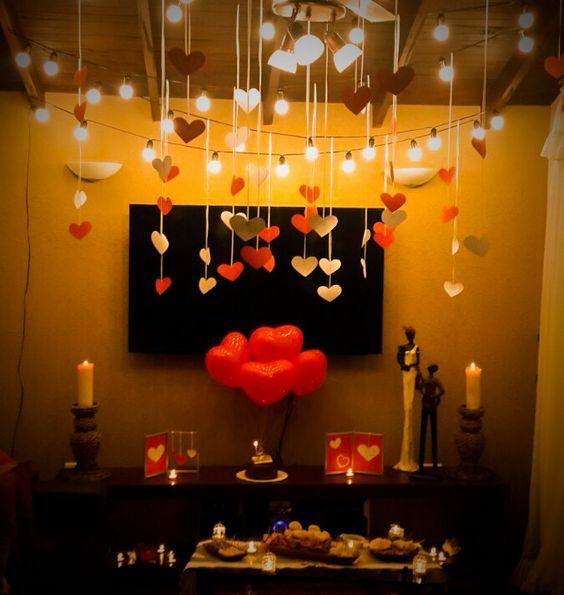 Use heart shaped lights and ornaments to bring the look together. Trees aren’t just for Christmas as this image shows. 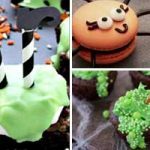 In fact people are using trees for all sorts of occasions such as Halloween and Valentine’s Day. 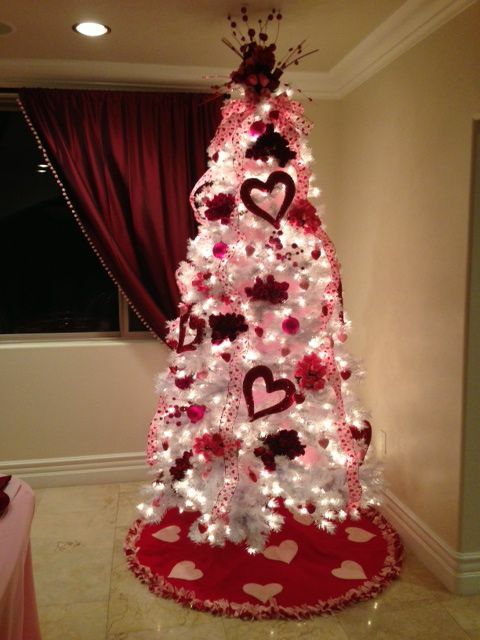 Decorate a white tree with heart shaped ornaments and red tinsel to recreate this idea. 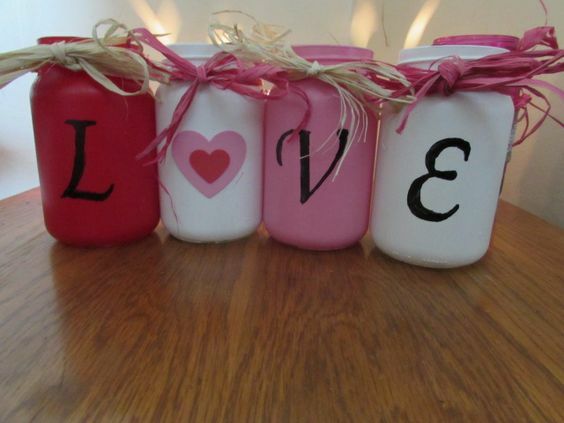 Using either three glasses or jars, fill them with red and silver hearts. 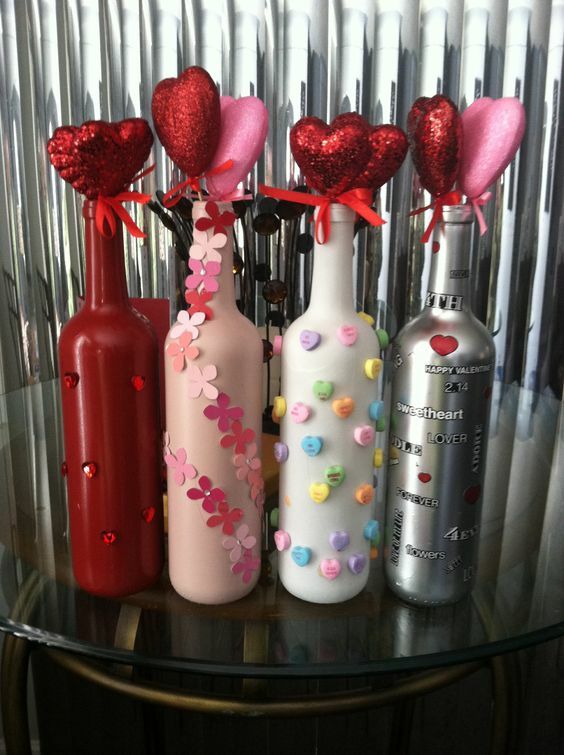 To pump up the glam at your party, try making these glitzy bottle vases. 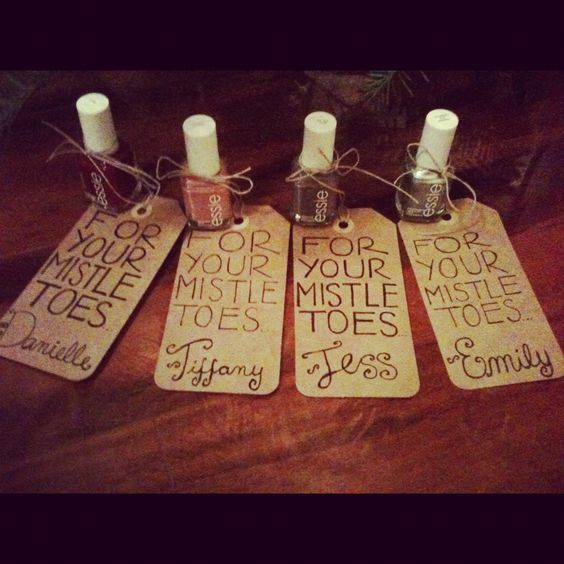 Cover the bottles with glue and dip them in the required color of glitter. 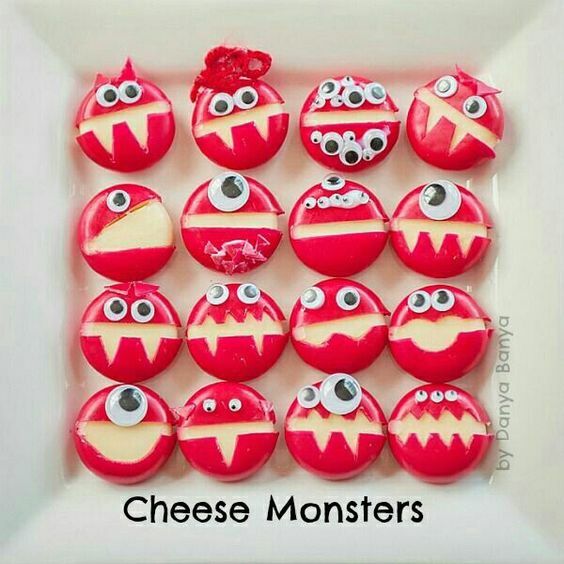 Finish with bows and add some pretty hearts inside. 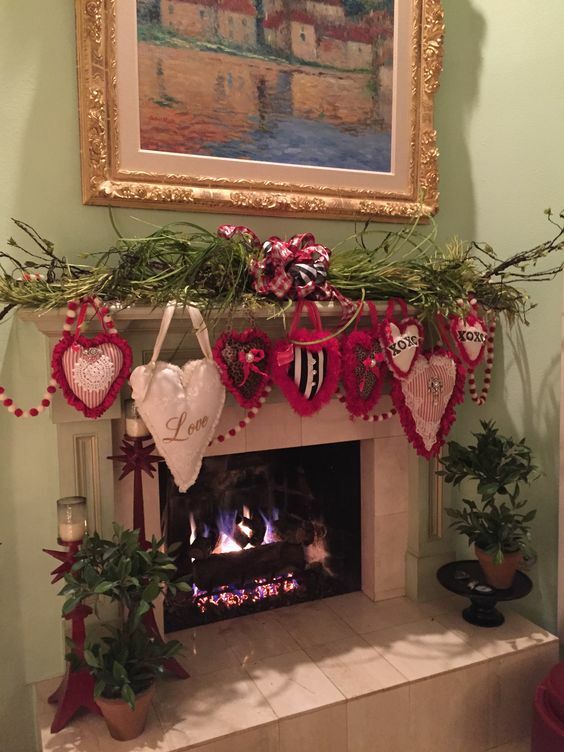 Adding a heart garland to the mantelpiece will create a cozy and romantic fireplace that’s perfect for igniting the romance factor.